The MINIKBT02 is a mountable keyboard tray with a mousepad and neoprone sheets for wrist protection/support. The tray can be mounted on any free VESA 100 mounting bracket, and is designed to house a mini keyboard. While being perfect for de-cluttering your desk, this tray is great for creating a computing space without the use of a desk; for example, public access of a cafe computer, or a company computer which needs to be used while standing. 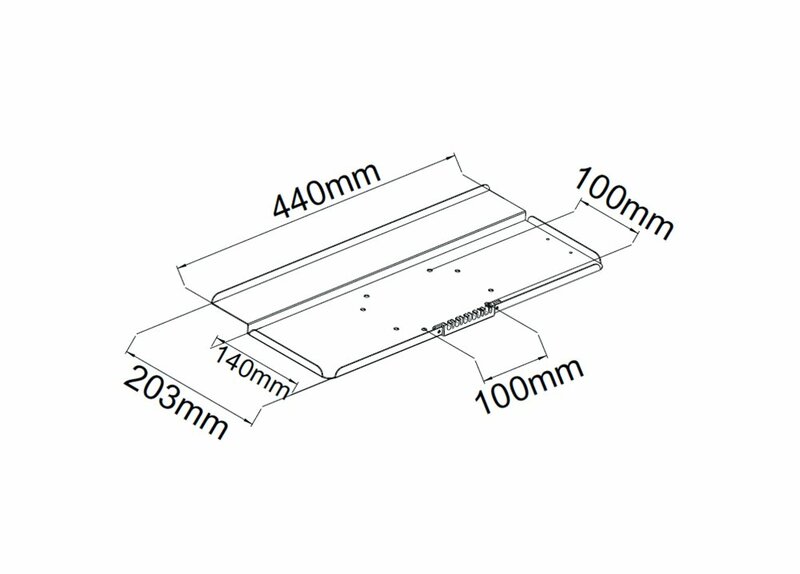 What will I need to mount this tray? The product comes with screws, so all you need is a phillips screwdriver and a spare mounting bracket. What mounts is the tray compatible with? The product can be mounted onto any free plate with mounting holes which are 100x100mm apart (VESA 100) or 150x50mm apart. Every Allcam monitor stand is compatible, including: MDM0, MDM01, MDM02, MDM05, MDM06, MDM07, MDM11S, MDM12D, and MDM12. What if I only have one mounting space but I want a screen AND keyboard? ﻿Purchase the Allcam VESAHTV horizontal to vertical adaptor, this fits between the mount and the screen, allowing you have the MINIKBT02 attached to the same mount as a screen. This keyboard tray comes brand new in a retail box, with a confident 5 year warranty.